So you’ve decided to sell your home. Maybe you’re looking for a bigger or smaller house, or you’ve decided to move closer to family, or you want to be a little closer to work to shorten that daily commute. Whatever the reason, shopping for a new home will keep you busy…. and if you are selling your current home, too, then you’ll be even busier. While it may not have been too tough for you to make a wishlist of what you’d like in your new home, it can take a little longer to get your current home ready to sell. Here are a few tips as you start cleaning, decluttering and packing. Get rid of it—for good. The first step is to go through and throw away, recycle, sell, or donate anything you don’t need. If you haven’t used something in the past year or two, you probably won’t find yourself looking for it any time soon, so get rid of it. This could apply to anything from clothes to books to kitchen appliances. Work on decluttering one room at a time, and go through any cabinets, boxes, shelves or closets in each room. Remember—the more you get rid of now, the less you have to pack and unpack! You may love the family photos hanging on the wall or the poster of your favorite sports team in your office, but it may not be something potential buyers want to see. While they know these are your personal belongings, it’s easier for buyers to imagine themselves living in a home if it doesn’t have any of your personal touches there. Keep decorations simple and generic, like vases of flowers and paintings of nature. Likewise, if you plan to repaint or replace the flooring before putting your house on the market, stick with neutral colors like beige or gray that will appeal to almost anyone. Sure, you may love that bright green color, but most potential buyers won’t—and they’re the ones you want to be living in the house in the next month or two, so go with what you think the majority of shoppers would like. If you have any outstanding repairs, now is the time to make them. 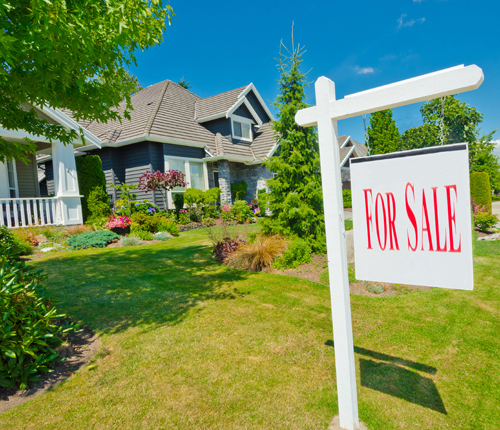 You want a home for sale in the best shape possible before you even put the “For Sale” sign in the front yard. Fix that leaky toilet or dripping faucet, and patch any dings in the drywall. Take care of any doors or drawers that don’t close properly, and make sure all light bulbs are working. You may like your furniture just the way it is, but that doesn’t mean it will appeal to the majority of potential buyers. More often than not, you’ll want to remove some furniture, as most homes show better with less furniture. If you want some help from the pros as you prepare your home for sale, consider hiring a professional home stager. Once you’ve removed extra furniture from your house, you can store it in a storage unit (or, perhaps, in the home of a family member or friend who lives nearby and has some extra space). If you think the furniture you’ve cleared out isn’t anything you’ll use again, consider donating or selling it. Once you’ve removed any extra clutter and made repairs, it’s time to clean and straighten up what’s left. You’ll want to do a heavy-duty cleaning of your home. This is more than some quick dusting and vacuuming—you should be scrubbing baseboards and cleaning windows inside and out. It will take some time and elbow grease, but it’s worth it to make sure your home sparkles before it goes on the market. Take some time to get things extra organized as well. Make sure your glasses are neatly arranged in kitchen cabinets and all fingerprints have been wiped off appliances. It may sound like a lot of work, but buyers like to snoop around and will probably open kitchen drawers and medicine cabinets, so you want everything to appear organized in those hidden spaces—and you certainly don’t want things falling out on them when they open a door! Once you’ve finished cleaning inside, head outside and take a look at your yard. Make sure your landscaping looks nice and your shrubbery and yard are free of weeds. Keep your lawn and bushes trimmed, and consider planting a few annuals out front to add a little color to the house. Wipe down the front door, and give it a fresh coat of paint, if necessary. Sweep off the front porch and make sure the corners of the doors and windows are free of cobwebs. The mailbox should be well-maintained and free of rust and dirt, and your house number should be easily visible. 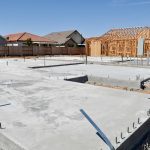 The front of the home for sale is the first thing potential buyers will see, and if they don’t like what they see, they may choose to not even go inside. Make sure your house has good curb appeal. If you’re going to be living in a home for sale, you’ll have to do some extra work each day to keep it in tip-top shape. Make sure to wipe down the bathroom and kitchen counters after any use and vacuum daily. Don’t let shoes pile up—put them away in the closet as soon as you get home. Any dishes that don’t go in the dishwasher should be washed, dried, and put away immediately after use, and you should rinse out the sink, too. Any time you leave your house, it should look as though no one’s living there. It will take some extra time and effort, but that will help it show better and, hopefully, bring you a buyer even sooner!